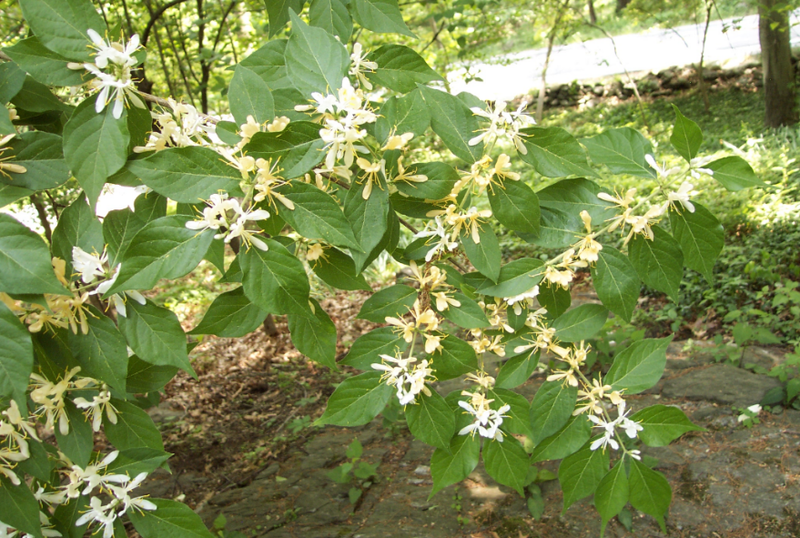 In Plants of the Chicago Region, Swink and Wilhelm describe invasive honeysuckle just right: “It would be difficult to exaggerate the weedy potential of this shrub.” Invasive honeysuckle does very well in savannas, edges of woods, and open fields. It is a fine competitor that deserves our respect and attention. If only our species could take over the planet so well. Oh wait. Lonicera maackii, Amur honeysuckle or bush honeysuckle is an invasive shrub from the Euro-Asian continent. It is in the family Caprifoliaceae, or honeysuckle family. 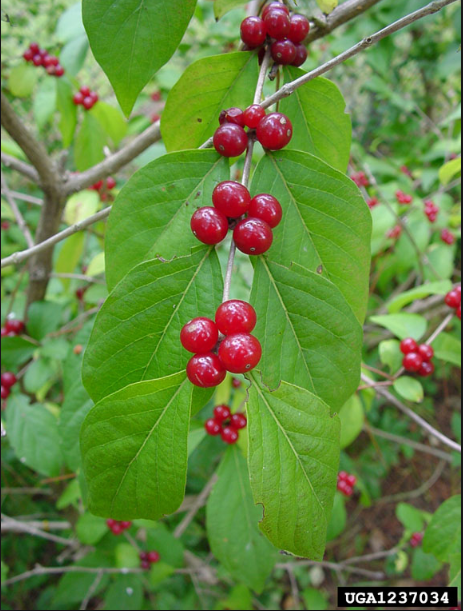 This is the shrub with opposite leaves, white or pinkish paired flowers, red fruits in the fall. These shrubs leaf out early in the spring and hang on long into Fall. You have seen it. Below is one big honeysuckle out my windshield before being mowed down. 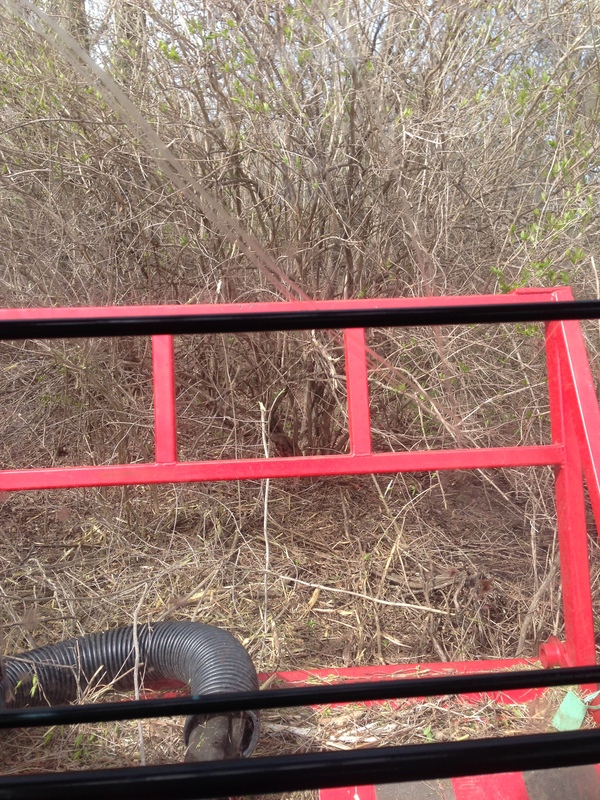 In the next few posts I will summarize some ways to control honeysuckle. This entry was posted in Uncategorized and tagged honeysuckle, invasive, Lonicera. Bookmark the permalink.